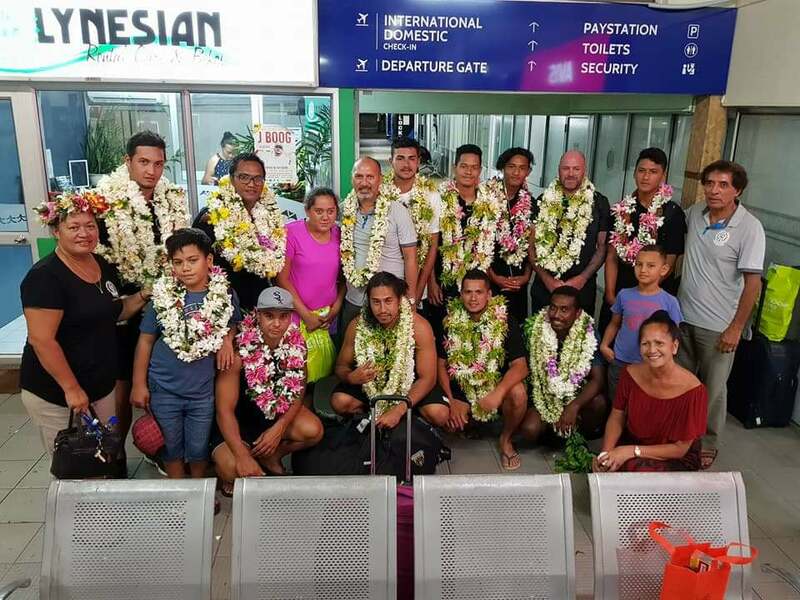 After a rousing welcome at the airport on Tuesday night on arrival after a successful run at the OFC Champions League Qualifiers. Tupapa Maraerenga’s achievements were recognized during a dinner function hosted by family and friends. The two pu tapere of Tupapa Maraerenga and of course one of the most iconic sporting figures for the village Papa Teanua Dan Kamana were present at the dinner. Papa Dan Kamana spoke and congratulated the team and said during his days they were only able to beat teams here in Raro but he was so proud now that even club teams and in particular the Tupapa Maraerenga football club have been able to accomplish more by beating bigger teams outside of the Cook Islands on their own home soil. Also at the function last week on Wednesday night the president for the Tupapa Center gifted the team with a cheque to the value of three thousand dollars and TEMS Store representatives Tere and Maryanne Strickland blessed the team with a further one thousand dollars to assist them with cost incurred in the first stage and any other cost which may pop up in the second stage in Port Villa. The Tupapa Maraerenga FC president Grover Harmon “thanked the village for putting on the kaikai and especially Tere Strickland of Tupapa Center and Maryanne Strickland of TEMS store for the huge donation and insured that the club will put this to a good use during the tour”. Tupapa Maraerenga progressed to the OFC Champions League Group Stage by dominating the Qualifiers Leg in American Samoa. The team’s first game will be on Friday against Papa New Guinea’s Champion Football club Lae City Dwellers FC at 5pm local time. The game at the second stage is expected to be tough with the top two teams advancing through to stage three which is the Quarter Finals.